Britain’s greatest gurning grotesque – now scrunging his way across the nation’s chests! 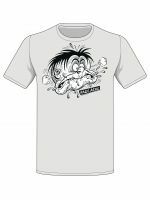 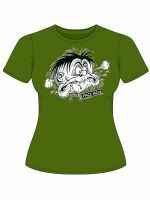 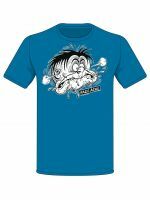 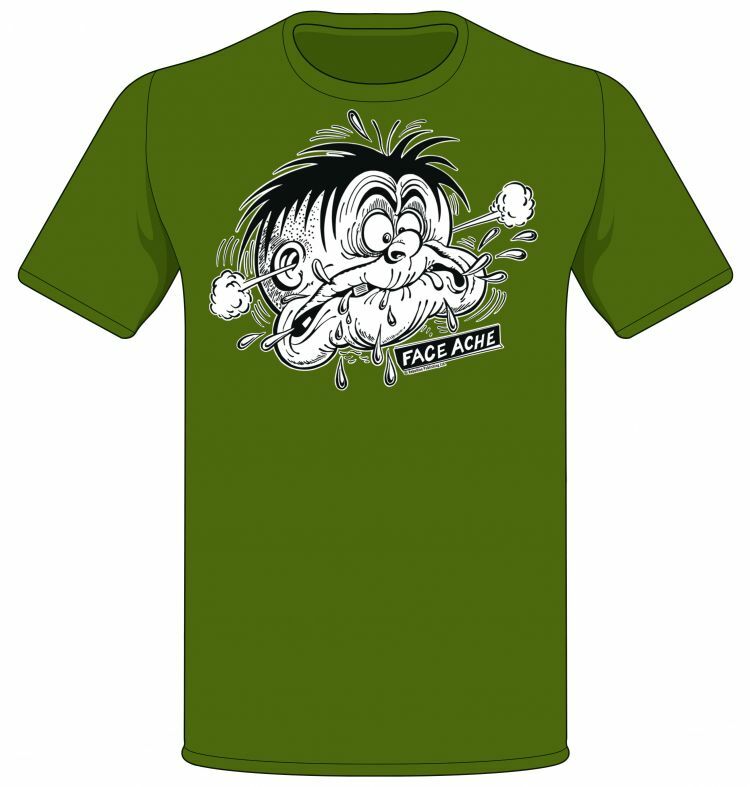 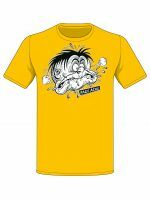 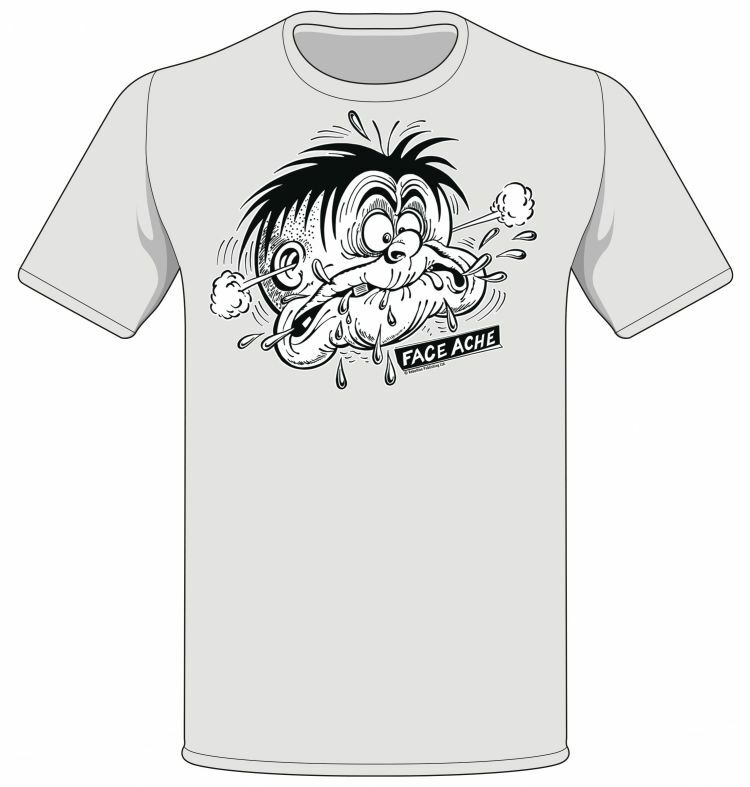 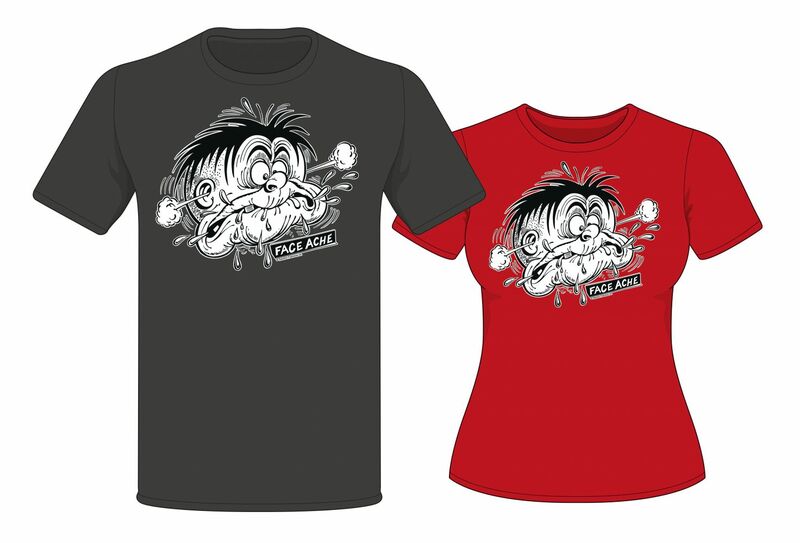 Grab the new quality T-shirt from The Treasury of British Comics emblazoned with a classic contortion by Ricky Rubberneck AKA ‘Faceache’, the creation of legendary cartoonist Ken Reid! 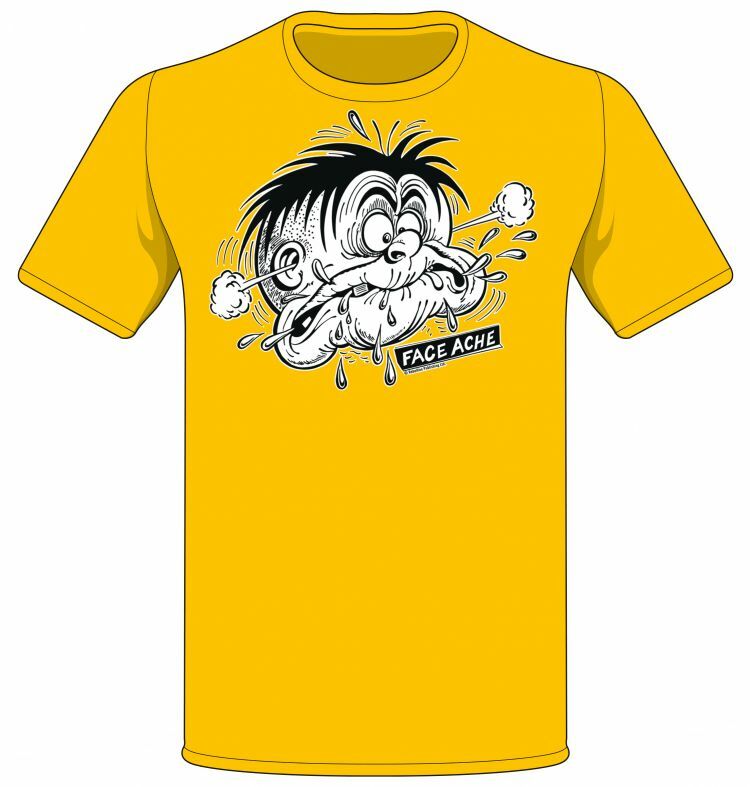 Consistently name-checked by the greats of comics – from Alan Moore to Kevin O’Neill, John Wagner to Pat Mills – Reid’s unique art was matched only by his enduring sense of humour. 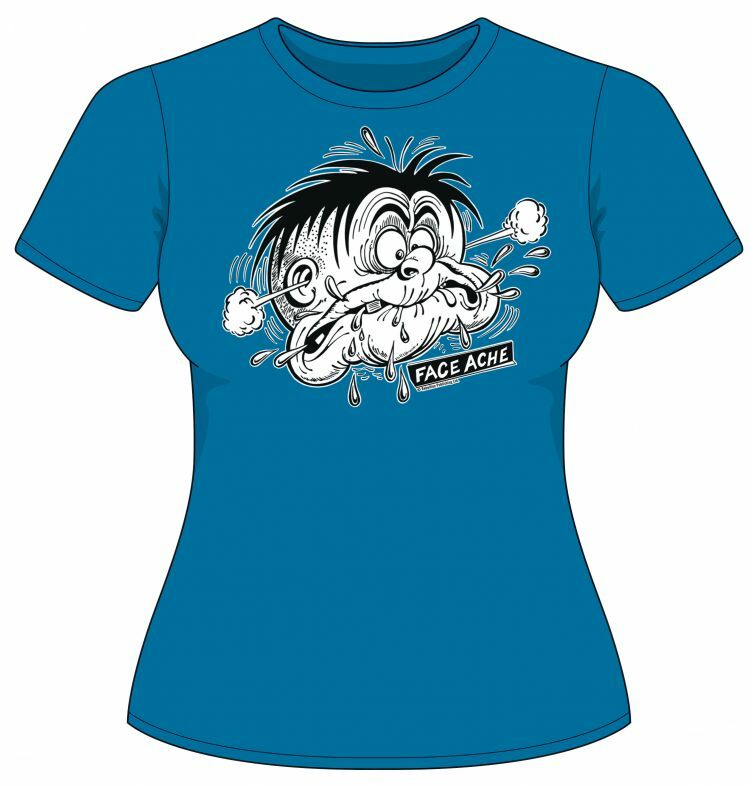 Faceache, the boy with a “bendable bonce” whose skin stretches like rubber, can scrunge his face into anything, whether it’s mimicking others or turning into monstrous creatures – but always coming a cropper!